In the ever-changing healthcare systems, the increased complexity of health problems, advanced technology, and increased healthcare costs, nurses must often take an active role in being sound clinical decision makers. In fact, nurses are often required, under these uncertain conditions, to make immediate decisions for providing care based on the best available evidence. As nursing care becomes increasingly complex, nurses need to be equipped with decision-making skills to direct them when managing patients in order to maintain positive patient outcomes. To face such demands, it is crucial that nurses develop sound decision-making skills. Nurses who have sound clinical decision-making skills will be able to provide safe and effective patient care. 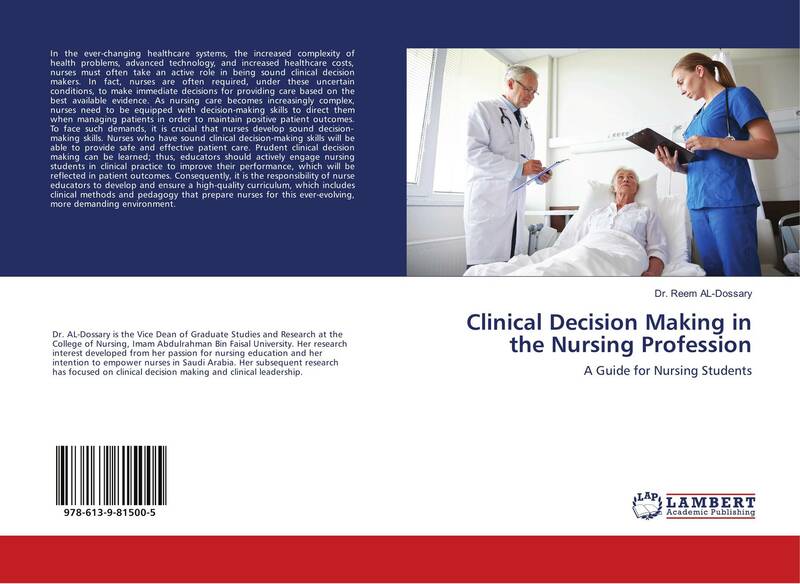 Prudent clinical decision making can be learned; thus, educators should actively engage nursing students in clinical practice to improve their performance, which will be reflected in patient outcomes. Consequently, it is the responsibility of nurse educators to develop and ensure a high-quality curriculum, which includes clinical methods and pedagogy that prepare nurses for this ever-evolving, more demanding environment.